A recent paper by Lokman Tsui, a professor at the School of Journalism and Communication of the Chinese University of Hong Kong and longtime member of Global Voices, offers a chilling look at how authorities in Hong Kong outdid their rivals during the 79-day Occupy Central movement that hit the city in late 2014. 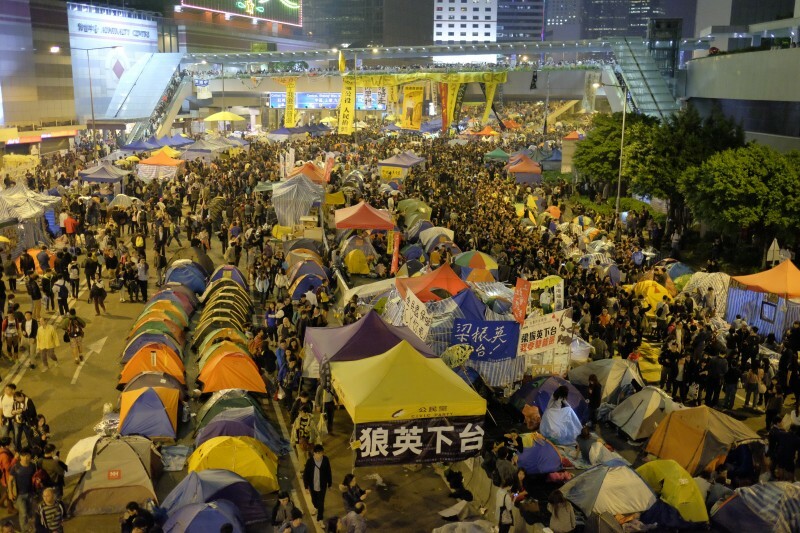 Thousands of protesters set up camp in downtown Hong Kong in September of last year to demand the freedom to choose candidates in the city's first direct vote of its chief executive in 2017. China has held that anyone vying for the top position in Hong Kong, a special administrative region with a certain degree of autonomy from the mainland, must get majority support from a nominating committee stacked with pro-Beijing members. Tsui's paper, titled “The coming colonization of Hong Kong cyberspace: government responses to the use of new technologies by the umbrella movement,” was published in the Chinese Journal of Communication in July 2015. Read the full paper on Tsui’s blog.